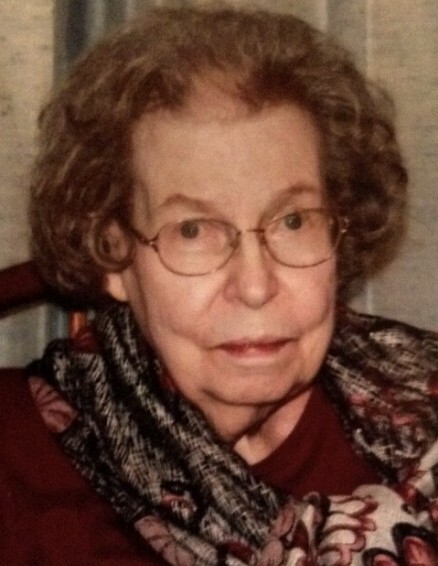 Obituary for Mildred E. (Orwig) Kreutzer | Hinchliff-Pearson-West, Inc.
Mildred E. (Orwig) Kreutzer, 92, of Denver, Colorado, formerly of Galesburg, Illinois died 5:15 a.m. Sunday, April 14, 2019 at the Five Star Residence, Assisted Living Center in Denver. She was born November 3, 1926 in Prairie City, Illinois to Charles “Merle” and Floradel (Simpson) Orwig. She married Donald L. Kreutzer June 1, 1946 in Detroit, Michigan. He preceded her in death August 19, 2000. Mildred graduated from Galesburg High School in 1944. She worked at the Pentagon during WWII in the Chaplin’s office and she worked at Mayo Hospital in Galesburg where she met her husband, Don Kreutzer. Mildred worked for Michigan Bell Telephone in Detroit, Michigan for a short period of time before returning to Galesburg where she worked for her parents at Orwig’s Hardware in Galesburg. For eighteen years she owned and operated Kreutzer's Hobby House in Galesburg with her husband and they retired in 1991. Mildred was a member of the VFW #2257 Ladies Auxiliary in Galesburg. Funeral service will be 10:30 a.m. Saturday, April 20, 2019 at Hinchliff-Pearson-West Funeral Directors and Cremation Service Galesburg Chapel. Pastor Chris Nissley will officiate. Visitation will be 10:00 to 10:30 a.m. Saturday at the chapel. Burial will be in Prairie City Cemetery, Prairie City, Illinois. No flowers, unless they are silk, fake, or a plant will be allowed due to allergies. Memorials may be made in her honor to VFW #2257 Ladies Auxiliary or charity of the donor’s choice. Online condolences may be made at www.h-p-w.com.